Delivering low plasma erosion rates and increased seal lifetime. Minimize risk of particle generation and process contamination. The highly plasma resistant nano-filled materials provide a unique and process optimized sealing solution for many semiconductor process applications. The uniquely compounded materials ensure low plasma erosion rates and increased seal lifetime, and coupled with low trace metal content, the risk of lowered yield and warranty failures are reduced. Nanofluor® Y75G is a highly fluorinated elastomer which incorporates relatively low levels of an advanced nanoparticle type filler system, producing a clean compound formulated for minimum particle generation, combined with excellent resistance to aggressive oxygen and fluorine based plasmas. The material has been formulated to be used in critical locations where the seal can be directly exposed to the chemical environment. Perlast® G67G is a perfluoroelastomer which incorporates low levels of an advanced nano-particle type filler system. It is a clean compound formulated for minimum particle generation, combined with excellent resistance to aggressive oxygen, chlorine and fluorine based plasmas. The material has been formulated to be used in critical locations where the seal can be directly exposed to the chemical environment. Both nano-filled materials are formulated with low levels of nano-particle filler and the achievement of low filler particle agglomeration, resulting in minimized risk of particle generation or large particle contamination. These materials are specifically developed to resist harsh plasma conditions that perform significantly better than any other sealing materials. Sourcing an appropriate sealing material is critical to avoid wafer contamination which can reduce yield. In addition to this, it is also important to ensure seal lifetime compatibility with existing maintenance cycles and potentially facilitate an increase to the process tool productive period or uptime leading to lower cost of consumables. 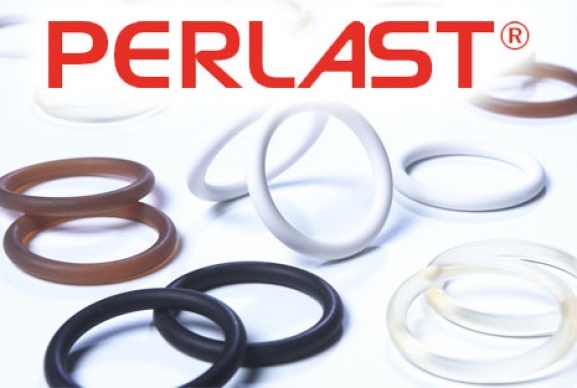 Precision Polymer Engineering is not just a provider of seal materials, but customised engineered solutions for critical sealing applications, in order to maximise seal integrity and longevity thereby reducing cost of consumables and increasing the potential to retain aftermarket sales. How can we help? Contact us to discuss your semiconductor sealing requirements. Let us know what you need and we'll respond with out best offer. Low erosion rates, trace metal levels and particle release rates are required from sealing materials, in critical locations within aggressive Oxygen and NF3 plasma processes, to avoid contamination. 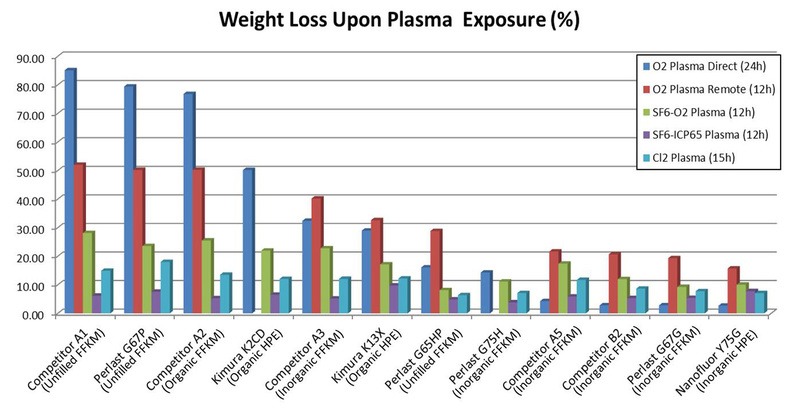 PPE has tested the plasma resistance of a variety of elastomer materials in common process chemistries to determine erosion rates and life-time comparisons.